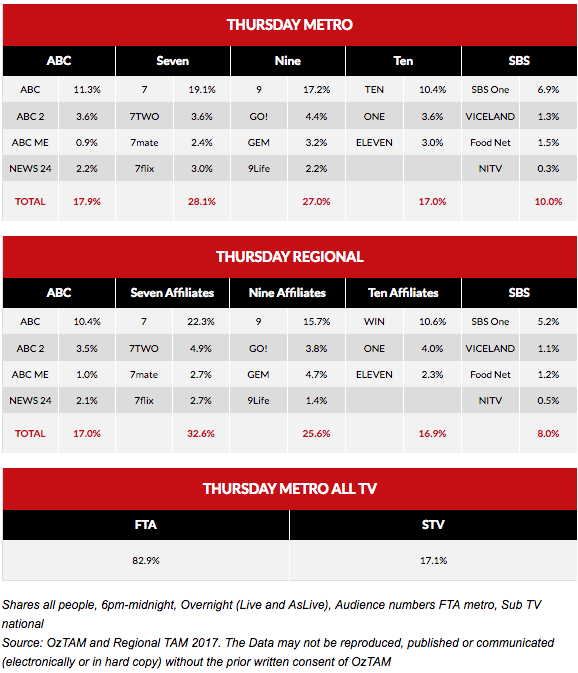 Seven’s Thursday victory was driven by Seven News and another three episodes of Home And Away. The World’s Deadliest Weather then kept 400,000 tuned to the channel. 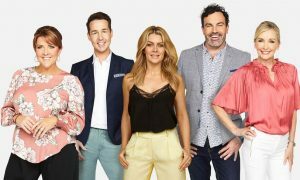 RBT keeps its 7.30pm Thursday Nine timeslot while a repeat of 20 To One followed at 8.30pm. Wolf Creek ended its first season with 173,000 watching. It was followed by a special on the making of Wolf Creek 2 which did 103,000. Just one episode of Cram! 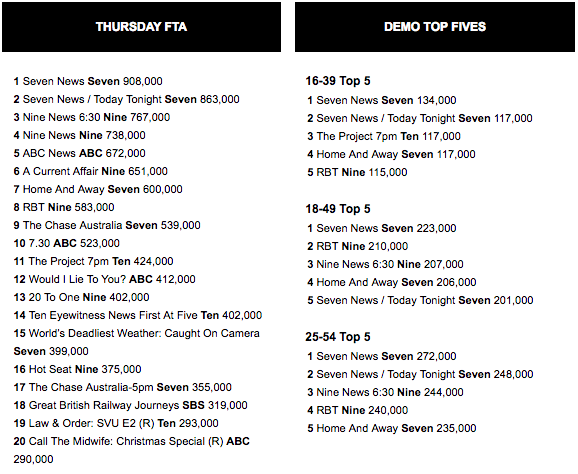 this week on TEN with 246,000 watching. Two episodes of Law & Order: SVU followed with the first on 213,000, but the numbers grew to 293,000. The ABC screened the last regular episode of Lateline with host Emma Alberici joined at the end of the program with staff crowding around her to celebrate the end of the program’s run. 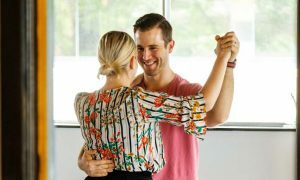 The Thursday episode had 100,000 watching on ABC with earlier in the night 72,000 watching on ABC News. Guests on a special farewell tonight include Leigh Sales, Maxine McKew and Kerry O’Brien. 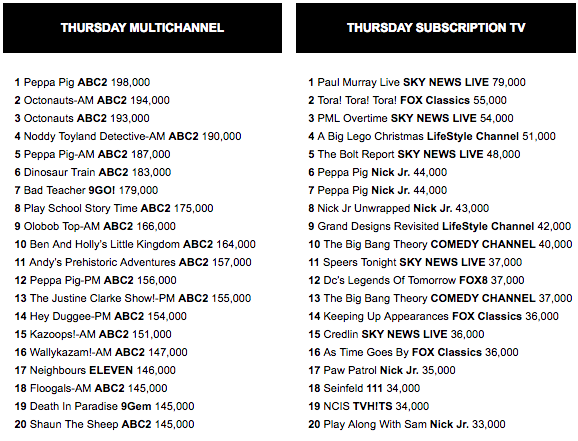 Meanwhile Tonightly with Tom Ballard ended its first week on 74,000 ahead of a Friday Best Of program. Michael Portillo delivered by rail again for SBS with Great British Railway Journeys on 319,000. SBS share was again close to 7%. Food Safari Earth did 261,000 before the final episode of Struggle Street did 264,000. The after-show program, Struggle Street: The Conversation, was on 147,000.